Being indigenous to India, the plant grows wild all over the country as a common creeping weed, and is abundant during the rains. The plant grows nearly 2m in length, with the leaves being simple, broad, thick and brittle. The flowers are either purple or white. However, medicinally, the root is the most important part of the herb. It is a bitter, cooling, astringent and purifying herb, but, is highly beneficial in treating various common ailments. The medicinal value of the herb makes it a priceless herb that is capable of rejuvenating the whole body. Punarnava is diuretic in nature, which makes it great in curing urinary tract infections. It increases the secretion and discharge of urine. Hence, the herb is a good cure for the treatment of ‘dropsy’, a condition marked by excessive collection of watery fluid in tissues, cavities or natural hollows of the body. Hence, the herb prevents fluid retention in the body. Freshly boiled herb is administered for the treatment of the disease. A liquid extract of the fresh or dry plant can also be administered in doses of 4g to 16gms. Punarnava promotes removal of blockages in mucous membranes and phlegm from the bronchial tubes. Hence, it is beneficial in the treatment of Asthma. The powder of the root can be taken in small dosages thrice a day. It supports overall lung functioning and respiratory health. Punarnava is beneficial in treating obesity. Most of the herbal anti-obesity medications have punarnava as an ingredient. The herb aids excretion and removal of excess fluids from the body, without compromising on other electrolytes that are otherwise required by the body. Hence, it is beneficial in your weight loss efforts too. Punarnava is helpful in treating certain type of liver diseases caused by ‘Ascites’, thereby helping in maintaining liver health. Ascites is a disease characterised by accumulation of fluid within the peritoneal cavity of the abdomen. It is particularly powerful on the types of ascites that are caused due to liver cirrhosis and chronic peritonitis. It also stimulates secretion of bile, which is vital in keeping the liver healthy. Punarnava is useful in strengthening the stomach and improving its functioning. It treats several intestinal disorders, including intestinal colic. The powdered root of the herb is administered in dosages of 5grams thrice a day. Furthermore, it kills and expels intestinal worms. Moreover, given the fact that it is a mild laxative, it helps prevent constipation, thereby helping in overall purification of the body. Punarnava helps kidneys do their job, as it helps in getting rid of excess toxins, water and fat from the body, thereby ultimately ensuring that all organs are functioning as smoothly as possible. Being a diuretic, there is increased urine output when the herb is used, and hence, it helps in keeping the body clean. Further, regular urination also helps in flushing out the calcium accumulated in the kidneys, thereby preventing formation of kidney stones. Urinary Tract Infections are a common condition, experienced by both men and women, particularly seen in women. It is associated with discomforts such as burning sensation when urinating. Punarnava, being anti-microbial, anti-spasmodic and anti-inflammatory, works as a cure for UTIs clearing infection effectively. Our eyes, being extremely sensitive, are susceptible to various diseases and infections at any point of time in our life. Hence, it is necessary to protect them and administer the right cure as and when required. Punarnava plays a major role in protecting our eyes from several types of infections and diseases, including conjunctivitis and night blindness. A few drops of the herbal extract are administered ayurvedic physicians, depending on the eye condition of the patient. Punarnava is also ideal for managing arthritis, as the herb offers relief from joint pain and muscle inflammation. For this, the herb should be ground into a paste and applied topically. Allow the paste to sit on your skin for as long as you can, as it is unlikely to cause any side-effects on your skin. The root of the herb is an effective remedy for various skin diseases. A paste of the root can be applied topically as dressing for oedematous swellings. 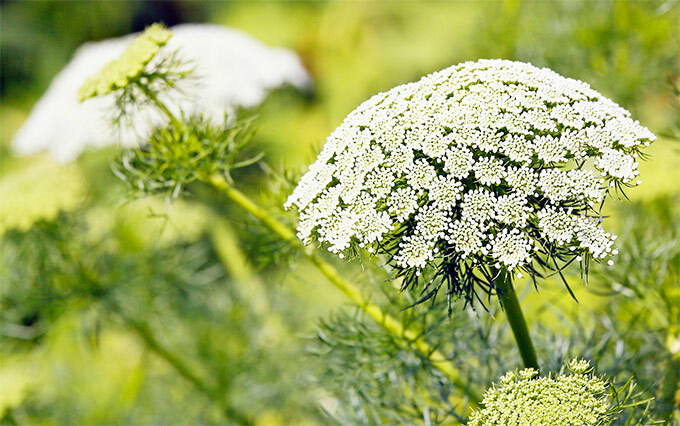 The root can be applied as a hot poultice with satisfying results to abscesses, ulcers and other skin diseases. It is also used as an ointment for other skin diseases. Apart from the above-said major health benefits, the uses of this wonderful medicinal herb are plenty. The seeds of Punarnava are beneficial to those suffering from impotence, as it helps increase libido, and revives male reproductive organ, making it a good home remedy for erective dysfunction too. The herb is also helpful in treating general fever, insomnia, tuberculosis, colic, worms, fibroids in women, and being rich in iron, it is beneficial in treating anaemia too. Note: The herb is administered in various forms depending on the need of the patient. Therefore, it may be effective only if used in the right proportions as specified and guided by an Ayurvedic practitioner. Diabetic Foot Ulcers: How To Prevent It?